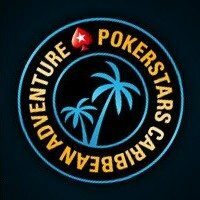 PokerStars puts in a lot of effort to rise above the other online poker rooms, and the PokerStars Caribbean Adventure (PCA) is an example of this. The PCA is hosted by PokerStars every year as a start to their European Poker Tour (EPT). The PCA is hosted by the Atlantis on Paradise Island in the Bahamas. If you are sick of your cold winter weather, this might be the perfect place for you! You might know about Paradise Island from a couple Hollywood movies. For example, Casino Royale (a James Bond movie), was filmed at the Ocean Club in 2006. This year’s version of the PCA has 41 events over a ten day time period. The Main Event, which started a few days ago on the 7th, costs $10,300 to enter, but it’s not the highest buy-in available. Not only is there a High Roller Event with Re-Entry for $25,500, there was also a $100,000 Super High Roller Event with Re-Entry. Both of these events are 8-max No Limit Holdem tournaments. If the above three tournaments are too rich for your blood, there are still plenty of options for you. There are a myriad of events under $2,000 and tons of variety to choose from. The ladies also have a $1,100 No Limit Holdem event of their own to look forward to. If you play on at PokerStars, you’ll know that the site had plenty of ways to satellite into the PCA last year. Players could win their way in at the cost of FPPs or for as low as $1.10. This makes the series very accessible for even amateur players. And now get $20 free from PokerStars for all new players. Read about this PokerStars bonus code offer here. The series started on January 5th and will continue until January 14th. Players are currently deep in the Main Event, so keep your eyes peeled for some updates once the tournament is over. Sometimes it’s blatantly obvious a final table is going to be stacked from top to bottom. This was definitely the case with the 2012 PokerStars Caribbean Adventure $100,000 Super High Roller No Limit Holdem event. On the final day of the event, 8 of the world’s best gathered in the Bahamas to battle it out for a first place prize of $1.25 million. 30 players joined the massive tournament. Added to the prize pool were two optional rebuys: Jonathan Duhamel and Bill Perkins each put up another $100,000 to continue in the tournament after they busted. Isaac Haxton lead all players heading into Day 2, but he was unable to make it into the final day. Galen Hall enjoyed the overnight chip lead heading into the final day with just 7 players left to beat out. Hall was just a year removed from winning the PCA Main Event, beating out talented online tournament specialist Chris “GettinDaize” Oliver and taking down the tournament for $2.3 million. PokerStars had ample representation at the final table with Humberto Brenes, Daniel “KidPoker” Negreanu, Duhamel and high stakes cash gamer Viktor “Isildur1” Blom. Blom is, of course, famous for playing some of the biggest pots in history. Rounding out the final table were three sharks in their own right: Dan Shak, Mike “Timex” McDonald, and Scott Seiver. Unfortunately for Seiver, McDonald, and Brenes, the final table didn’t go too well for them. They busted out just before the money with the final five players getting paid. Once in the money, Negreanu and Duhamel were the first two out, leaving Shak, Blom and Hall to their three-handed battle. The day didn’t belong to Hall either as his 99 ran into Blom’s AA in an unfortunate cooler spot which put Blom in the lead going into heads-up play. Shak was never able to close the distance and had to settle for 2nd place. This tournament served as Blom’s coming out party as it was his first major live tournament win and a big one at that. Do you want to visit the Bahamas and play in the PCA next year? Get the PokerStars download and start grinding yo. The PokerStars bonus code FREE20 will give you free $20 after deposit $20.